Do you have what it takes to bring people to Cloud 9? If so, we want to work with you! We at Cloud 9 Living pride ourselves on the relationships we have with over 500 of the country's "Best in Class" experience providers. From golf instructors or whitewater rafting guides to racecar driving schools - we value our experience providers and the relationships we've built with each and every one of them. As a leader in the Experience Gift industry, we enable our experience providers to tap into the valuable gifting market by bringing them new customers they may not reach otherwise. But don't just take our word for it - read What Our Experience Providers are Saying. 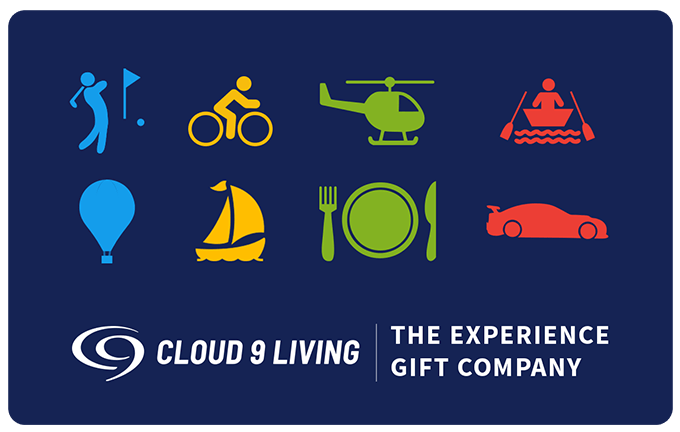 Or check out this short overview aboutWhat Cloud 9 Living Can Do For You.